Foot or Ankle Injury? …In pain..? 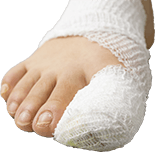 We reserve same day appointments for life’s unexpected foot and ankle injuries. Call us and be seen the same day if we have availability. You do not have to wait in the emergency room or pay a larger-than-needed copay with additional possible fees without seeing a specialist. 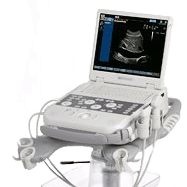 With on-site digital X-ray and diagnostic ultrasound, we are able to clearly see the extent of the injury, and you can be evaluated by a foot and ankle specialist today.